As a young man, he practiced his sermons by preaching to the alligators and birds in the swamp. 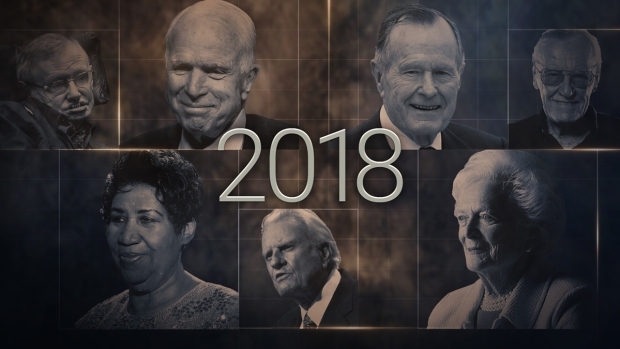 At his height years later, he was bringing the word of God into living rooms around the globe via TV and dispensing spiritual counsel — and political advice — to U.S. presidents. The Rev. 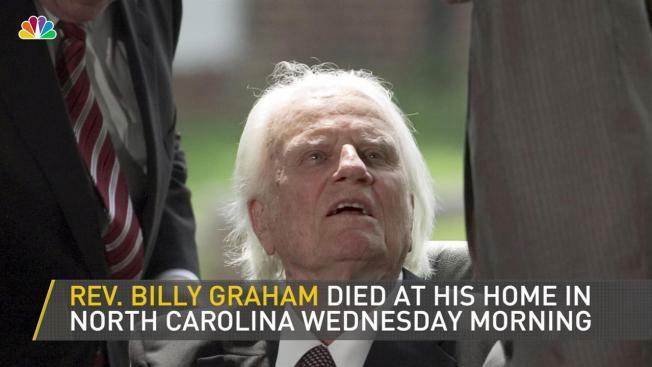 Billy Graham, dubbed "America's Pastor" and the "Protestant Pope," died Wednesday at his North Carolina home at age 99 after achieving a level of influence and reach no other evangelist is likely ever to match. "Graham is a major historical figure, not merely to American evangelicals, but to American Christianity in general," said Bill Leonard, a professor at Wake Forest University Divinity School in North Carolina. Graham was "the closest thing to a national Protestant chaplain that the U.S. has ever had." A tall figure with swept-back hair, blue eyes and a strong jaw, Graham was a commanding presence in the pulpit with a powerful baritone voice. His catchphrase: "The Bible says ..."
He had an especially strong influence on the religion and spirituality of American presidents, starting with Dwight Eisenhower, whom he urged to run for office and baptized at the White House. George W. Bush credited Graham with helping him transform himself from carousing, hard-drinking oilman to born-again Christian family man. His influence reached beyond the White House. He delivered poignant remarks about the nation's wounds in the aftermath of Sept. 11 during a message from Washington National Cathedral three days after the attacks. He met with boxer Muhammad Ali in 1979 to talk about religion. He showed up in hurricane-ravaged South Carolina in the 1980s and delivered impromptu sermons from the back of a pickup truck to weary storm victims. Graham wasn't always a polished presence in the pulpit. After World War II, as an evangelist in the U.S. and Europe with Youth for Christ, he was dubbed "the Preaching Windmill" for his arm-swinging and rapid-fire speech. Later, tapes released in 2002 caught the preacher telling Nixon that Jews "don't know how I really feel about what they're doing to this country." Graham apologized, saying he didn't recall ever having such feelings. He asked the Jewish community to consider his actions instead of his words. His wife, Ruth, mostly stayed behind at their mountainside home in Montreat to raise their five children: Franklin, Virginia ("Gigi"), Anne, Ruth and Nelson ("Ned"). Ruth sometimes grew so lonely when Billy was traveling that she slept with his tweed jacket for comfort. But she said, "I'd rather have a little of Bill than a lot of any other man." Beyond Graham's TV appearances and speaking engagements, he reached multitudes through network radio, including "The Hour of Decision," film and newspapers. One of Graham's breakthrough films was "The Restless Ones," made in the 1960s, about morally adrift teens in Southern California who found the strength to withstand temptation after attending a Billy Graham crusade. In the 1950s he created a syndicated newspaper column, "My Answer," which at its height reached tens of millions of readers. Early on, he took up the cause of fighting communism, preaching against its atheistic evils. But he was much less robust in his support for civil rights and did join his fellow clergymen in the movement's marches, a position he later said he regretted. "I think I made a mistake when I didn't go to Selma" to join the Rev. Martin Luther King Jr., he said in a 2005 interview. "I would like to have done more." Still, Graham ended racially segregated seating at his Southern crusades in 1953, a year before the Supreme Court's school integration ruling, and long refused to visit South Africa while its white regime insisted on separating the races at meetings. Graham's integrity lifted him through the dark days of the late 1980s, after scandals befell TV preachers Jimmy Swaggart and Jim Bakker. "Why, I could make a quarter of a million dollars a year in this field or in Hollywood if I wanted to," Graham once said. "The offers I've had from Hollywood studios are amazing. But I just laughed. I told them I was staying with God." William Franklin Graham Jr. was born on Nov. 7, 1918, on a rural dairy farm near Charlotte. His path began taking shape at age 16, when the Presbyterian-reared farm boy committed himself to Christ at a tent revival around Charlotte, North Carolina. A 1949 Los Angeles revival in a tent dubbed the "Canvas Cathedral" turned Graham into evangelism's rising star. Legendary publisher William Randolph Hearst had ordered his papers to hype Graham, though the evangelist said he never learned why. Health problems gradually slowed Graham. In 1995 his son William Franklin Graham III, then 43, was designated the ministry's leader. 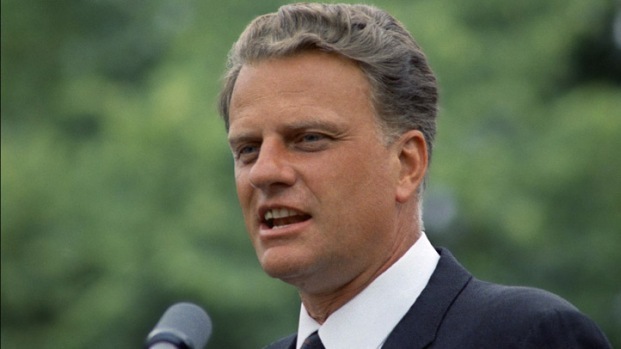 Billy Graham's wife died in 2007 at age 87. Graham will be buried next to her at the Billy Graham Museum and Library in Charlotte. There was no immediate word on other funeral arrangements.